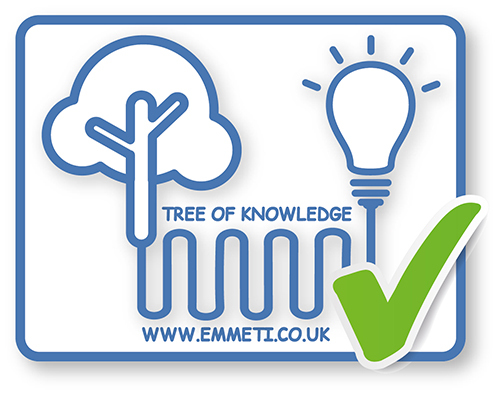 Emmeti are pleased to introduce the new FMU3 Floor mixing unit designed for underfloor heating systems. 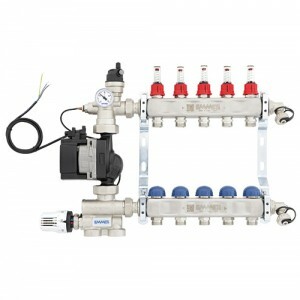 This unit is a pre-assembled regulation control group and stainless-steel manifold assembly available with between 2 and 12 ways. It integrates both temperature and flow management, making the single piece unit very easy to install, saving time on site. Supplied with our TM3-R control group, it offers an integrated thermostatic mixing valve with remote actuation ensuring that hot water from the heat source and return water from the underfloor circuit are mixed together in the valve body to produce a range of temperatures from 20oC to 65oC. This range of temperatures suits a wide range of underfloor heating applications and floor construction. A further addition is a high efficiency Grundfos UPM3 Auto 7m, ErP 2015 compliant circulation pump.